I'm sure you guys know Stylebender and Kelvin are fighting this weekend for the interim Mw belt. I'm curious to see what you guys think. I've only seen a handful of posts about this fight and most of them seem to heavily favor Izzy. However, I think Kelvin presents the greatest threat for Stylebender, at least out of all the opponents he's faced so far. He's got good boxing, counter boxing, and wrestling. i'm a huge fan of both of these guys so i honestly can't make a pick here. what do you guys think? Honestly, I favour Izzy also by a mile but I don't think it's a walk in the park for him and I don't think Gastelum should be written off, at all. 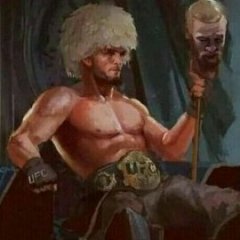 Honestly, I think that fight phased him and was hard for him simply due to how much he looked up to Silva, I know it's not supposed to be something that affects you in the octagon but I think the majority of people would be the same in that situation, we say we won't but we will, it's hard to hit the dude you absolutely admire it's like beating your trainer up or something. I honestly wouldn't take any of that in regards to Israel, he won the fight and I think that's all he wanted to do. Kelvin bangs him tf out. Said it all along. The size difference is pretty extreme. I like Kelvin, but he is going to have his work cut out trying to land on someone so long and who runs away. Izzy will cruise a very boring UD. He will keep Kelvin at bay but wont do much either. Kind of the same, though I do reckon Izzy will get some good attacks and push forward with pressure on Gastelum at times. Will have to see but pretty much agree with your sentiment. It's gonna be interesting this one, it's starting to look a little more split with people now where as before it did seem to lean towards Izzy most. If Kelvin catches him (as in catches a guy who is running away) Kelvin wins....otherwise he loses by decision. Oh yeah Kelvin is legit,his only issues have been weight cuts that burnt him out before he got into the ring.If he enters the ring healthy,100% he is legit.The other guy is just a real good weight cheat,he has to be well over 200 at that size 6'8 it is insane to think he can make 185. A.Silva used to walk around 223 and made 185 but his legs were too skinny,he SNAPPED his leg in half,terrible to watch and he is not 6'8.So imagine what would happen to Israel's legs at 6'8,If Kelvin knows how to deliver kicks the people in the front row might think someone just ordered some chicken wings....HEY can i get a beer and some more hot sauce for these wings !! Man i cannot believe he makes 185,i hope nobody breathes on him before he steps on the scales he might fold in half. Unfortunately Rob's had some time between fights so people are back to underestimating him. Izzy has had his chin absolutely out cold decimated and still despite his wins is relatively inexperienced with MMA striking, which is Robs specialty, I think Rob has a better fight IQ. I think Rob catches his chin then blitzes him puts him away. At least in the first fight, Izzy will get the belt eventually, maybe in a rematch. I think people underestimate him because he fights once every few years. It's hard to remember if he's good or not. He should be a heavyweight if he's in the heavyweight weight class. No Moe, I think the word you're looking for is "would". He should be a Heavyweight because he's 6'8 and a string bean. How many times, he's 6'3, @juice64011has just told you that too, so why you keep adding statistics on him? He also shouldn't be in heavyweight unless he falls into the heavyweight class, you know, with his weight. Izzy is about 6'7. I'm 6'8, I've got him by an at least an inch. Kelvin has a proven track record against black fighters who throw spinning chit. Izzy has no pedigree against fat Mexicans to speak of. Gastelum takes this one comfortably. He's a much more well rounded fighter.